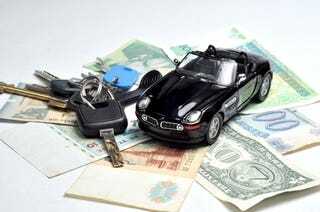 How Much Money Are You Willing to Lose on a Vehicle? We all assign financial limits for certain goods. Whether that be a numerical value or based on percent of income, we all have our limits. How much money would you be willing to never see again on a vehicle you love? Even after winning the lotto or marrying the inventor of Toaster Strudels. For me, the most I would ever be ok with losing (even if my friend and I invented Post-its) is $40k. If the vehicle is $60k, then I’m going to end up selling it and getting back $20k no matter how much I love the thing. If it’s some $100k 911, then I better not lose more than $40k on it. If I Lutz’ed out a Fisker Karma, I’m not losing more than $40k in the end. So the value of your happiness, what is it? When does a vehicle need to become an investment to grow your bank account or business?